The pousada chalé suiço is a small,simple and rustical pousada. 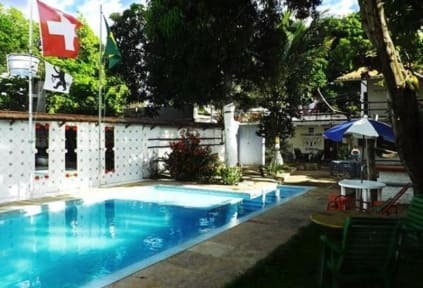 It's situated near of the city from Parnaiba(about20minutes walking)and 500m. 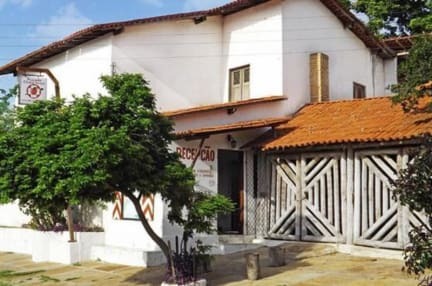 from the next restaurants,at the Av.Sao Sebastiao where you have good night live(bars and restaurants)and the bus too the beach. The only dancing (at weekend)of town is situated of 200m. When you book you can be charged 40% in advance in order to secure your booking (non refundable), you may be contacted by the property requesting the CVV code of the credit card used for this booking or asked for a deposit.